Hattie Steele helps her twin brother run a vacation lodge on the banks of the river Thames. Her cooking expertise and hard work makes the lodge function, and gives a homey, would-love-to-try it feeling to Sunday’s Child. I wanted to visit Rainbow Lodge myself! When handsome ex-footballer (soccer for those of us on the wrong side of the pond) Callum Trant books his vacation at the lodge, it’s obvious the two are headed for romance. But if you think this is a simple, little romance, think again. Hattie and Cal are destined to fall in love, but their path will be filled with obstacles, adventure and even murder. 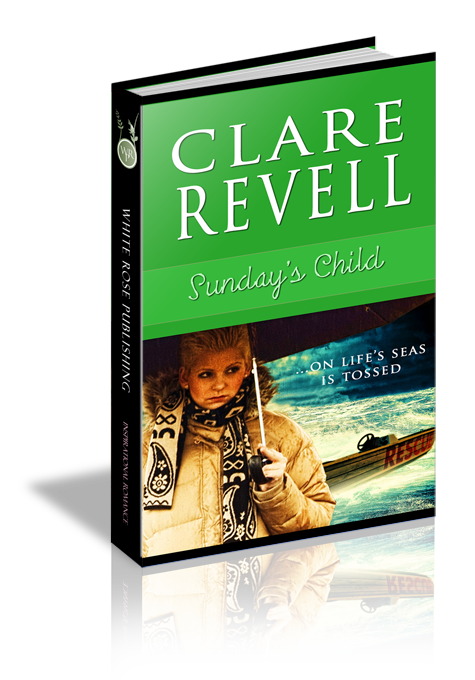 Hattie must uncover a family secret and learn to stand on her own two feet and Cal will have to survive his work as a volunteer work with the RNLI, a group who saves lives at sea. This is an action-packed romance with a twist around every corner. Grab a hold and hang on. You’ll enjoy the ride! I received a copy of the book from the author for an honest review.